Estrogen Vs. Non-Estrogen Birth Control Pills - What's the Difference? Estrogen Vs. Non-Estrogen Birth Control Pills – What’s the Difference? Choosing the right birth control pill is an important part of taking care of your sexual health. You’ve likely heard of the combination pill and also the mini-pill. So what’s the difference? We’ll break down some of the major differences between estrogen-only and combination hormone pills. What Do Estrogen and Progestin Do? Combination pills contain both a synthetic estrogen and a progesterone. Together they work to prevent the release of the egg (ovulation) during the monthly cycle. Without an egg, there can be no pregnancy. The hormones also cause changes in the uterine wall, reduce breakthrough bleeding and keep certain hormone levels from spiking. As the name implies, progestin-only (or the mini pill) contains only progestin. It also contains a lower dose of the hormone than the combination pill. Preventing the pituitary gland from producing follicle stimulating hormone (FSH) and luteinizing hormone (LH) so that ovulation doesn’t occur. Supporting the uterine lining to prevent mid-cycle breakthrough bleeding. Stopping LH production from occurring in the pituitary gland so no egg is released. Causing changes to the uterine lining which make it harder for an egg to implant. Limit the ability of an egg to be fertilized by sperm. Causing cervical mucus to thicken, hindering the ability of the sperm to travel. These combination of hormones are available not only in pill form, but also as a patch or vaginal ring. 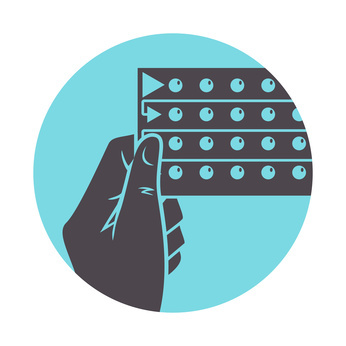 For women who choose to use the progestin-only birth control, they can take this in pill form or in the form of an intramuscular shot, implant or intrauterine device. It’s important to note that combination pills are more effective for pregnancy prevention than the “mini pill” (or progestin-only birth control). The also prevent breakthrough bleeding mid-cycle more efficiently than the mini pill. So why would anyone opt for the mini pill? Certain woman have a sensitivity to synthetic estrogen and as a result, may not tolerate the combination pill. In these cases, progestin-only birth control makes the most sense. The mini pill is between 87% and 99.7% effective in preventing pregnancies. The mini pill is also popular among mothers who are currently breastfeeding and do not plan on having another child at that given time. While combination pills are designed to be taken at the same time each day, it’s more forgiving than the mini pill. A few hours one way or another (while not recommended) typically will not change the efficacy of the combination pill, the mini pill however is much more sensitive. As a result of taking the pill late, early or skipping a dose altogether, it’s more likely that breakthrough bleeding will occur and protection will be breached. Unlike combo pills, the mini pill only delivers a lower amount of hormone. The cervical mucus (which thickens as a result of the hormone) is only impacted for about 24 hours. This is why taking the mini pill at exactly the same time each day is so important. When it comes to making the decision that’s right for you, your physician or pharmacist can help you decide. Most women choose the combination pill if they have no negative reaction to synthetic estrogen and are not breastfeeding.